I did notice this, thank you! What is the difference between the latency and the interpolation delay? 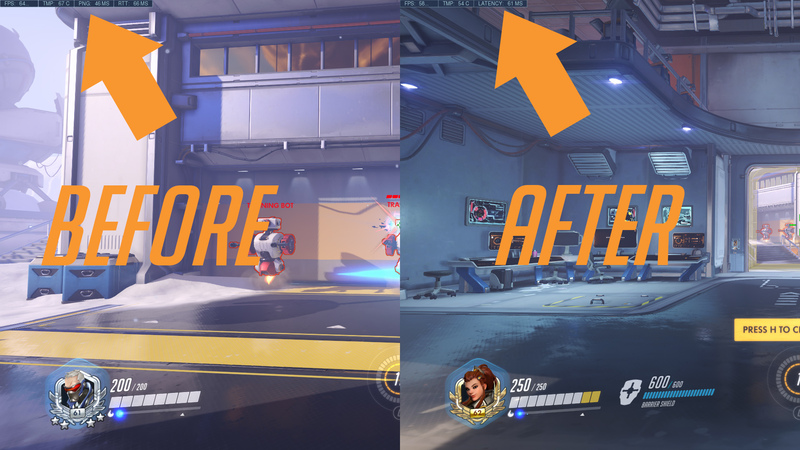 To make sure other players’ movements and actions appear smooth on your screen, there is a small buffer of time between when your client gets information from the server, and when it’s shown to you in the game. This is normally around 50-60ms for normal games. If your IND value is much higher, follow the steps on our connection troubleshooting article to try and resolve the problem. For more details check out this support article. What about physics delay on PC. All of junk rats abilities lag behind the current RTT. I was freaking out, cause i just upgraded my Internet speed today, then saw the patch, jumped into OW and thought my ISP messed something up. Thanks for the attempt to explain it. But its universal regardless of visual fidelity. 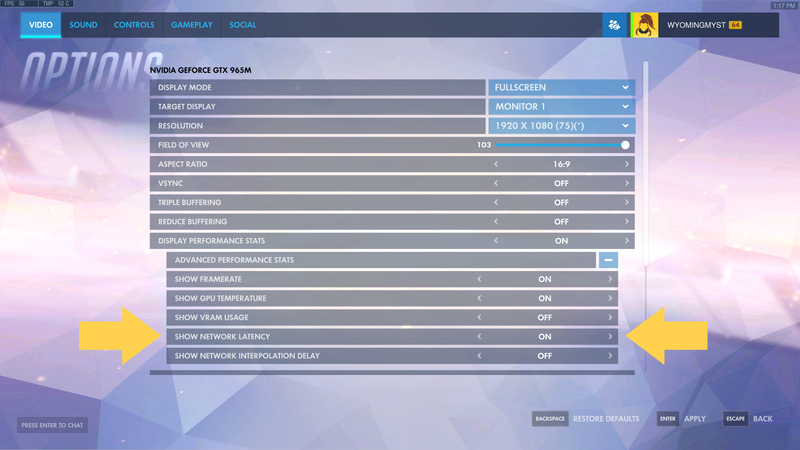 Physics tick rate is always defaulted to a fraction of actual game tick, so Junkrat gets no priory in any update. He might as well have double the RTT when it comes to his projectiles. There are several problems with this. I’ll try to be brief, as I’ve already explained in more detail elsewhere. ‘LATENCY’ is a more cluttered tag to read than the previous ‘PNG’. If you really want to get away from ‘ping’ (which I honestly can not understand, as ping has been the standard for gauging connection for decades) then please at least use a similar abbreviation—RTT or the common LTN would be fine—rather than having the whole word ‘LATENCY’. It’s just extra characters cluttering the corner for no benefit. Please return the tag to displaying when outside of a match. I know you said it took the reading off the last game, but I’ve observed spikes while waiting in the menus before; it may not be the moment-to-moment update, but it clearly was checking in here and there, and it’s useful. More importantly, it’s nice to have such UI elements be uniform at all times, rather than having technical UI elements pop in and out. In other words, this change is less functional and the two methods of monitoring your connection are now inconsistent. Please reinstate the previous ping display, if not instead of the new one, then in addition to the new latency display; for example, the option could cycle to display latency, display ping, or display nothing (‘off’). If you’re absolutely set on not allowing players to have a quick ping check, at least get the new latency display and the full network graph latency display to line up. How do I turn on the network latency display I’m only getting FPS now. I agree it should be faster, just quoting off the support article there. Could you explain this “merge” you mentioned? Where do you pull this number from? Why is it lower than the RTT ever was yet 11-15 higher than my typical ping? And why is it actually noticeable? Did you not actually just downgrade your servers? But couldn’t you have written just “LAT” instead of “LATENCY”? What’s a good number for latency? With Ping I knew I was around 30s, and with this new stat I get around 50? Is that alright? When you’re in the menus, you are not connected to any particular game server. Even if the numbers would change at the menu screen, and that change would be due to the client measuring it’s connectivity to some random server, it’s still not an accurate representation of your current connection speed. Chances are these number changes are just the client averaging the remainder of the the previously mentioned 15 second interval the old client used to use. Either way, it really had no value at all. Now the question would be, where to activate the option to show the latency?